BD221 adelle faux leather bucket hat. Woman hats color black. BD221 adelle faux leather bucket hat. Material: faux leather. Colours: black. Size: M/L (fully adjustable). 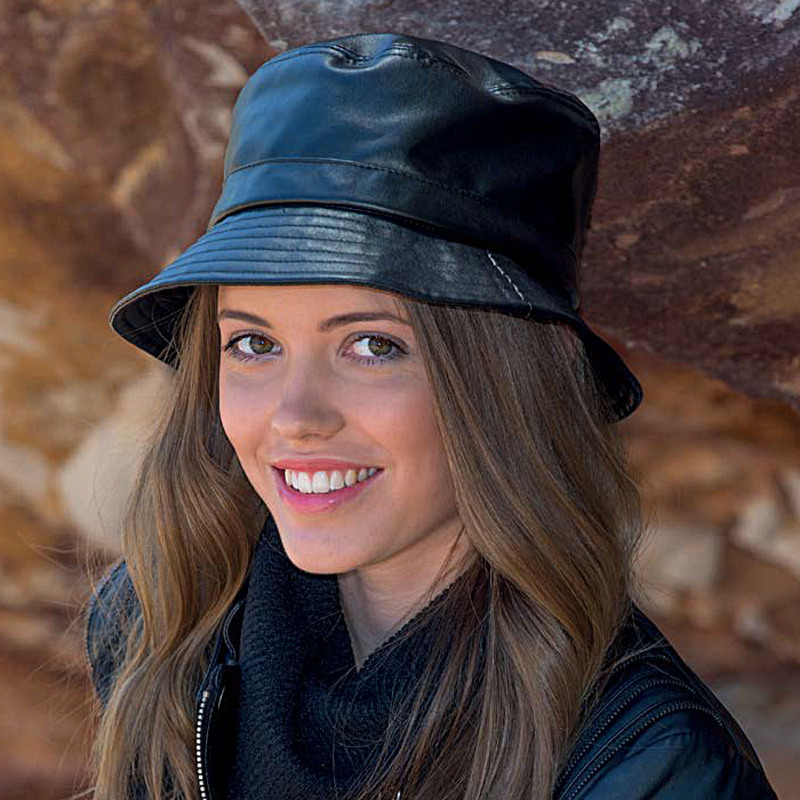 BD221 adelle faux leather bucket hat – Woman hat – Private Label – Quality ladies fedora crafted from super soft warm lambswool, fully lined lining. Material: faux leather. Colours: black. Size: M/L (fully adjustable).